West Ham United young midfielder, Marcus Browne has been linked to a loan move from the club to Coventry City and rumors on Twitter says the youngster has been on City’s radar since December. Revelations by Telegraph have it that the youngster could move quite sooner than expected to the club side. Last month, December, had seen representatives of Sky Blues in attendance as the 19 year old attacking midfielder featured for the Under 23s of West Ham in a game against Wolves. On Twitter, Browne has also been in contact with Jodi Jones, one of Coventry City’s players, thus sparking speculations that in no distant time, they could be teammates. Earlier in the season, during the Checkatrade Trophy, the young midfielder had featured for West Ham against City and had showed off a very impressive form. So far, the midfielder has made progress through the Academy ranks at West Ham. He is also very highly rated at the East-London club. Browne has been so good that back in August of last year, he had already made his senior debut for Slaven Bilic’s men in a Europa League tie match against Astra Girgui. If this loan deal progresses and comes off successfully, it would be the fourth signing by Russell Slade in a transfer window that just opened recently. Nathan Clarke, Callum Reilly, and Stuart Beavon are three players that have been brought onto the team by Slade this January. Coventry City’s striker, Marvin Sordell was allowed to leave to Championship side, Burton. 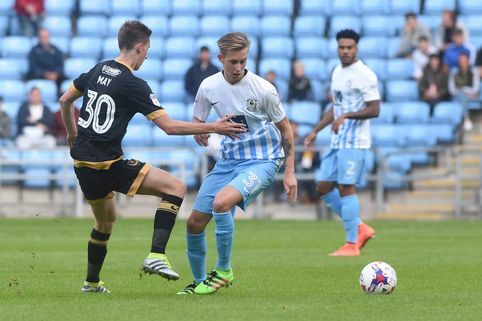 A few other talented youngsters from Coventry City have been linked with moves to several clubs. Ben Stevenson, Cin Harries and Jordan Willis are some of the players linked with a move to other clubs in this transfer window.